This 1 bedroom apartment is located in Avenue de la Californie and sleeps 4 people. It has WiFi, air conditioning and garage. The apartment is within walking distance of a beach. 2-room apartment 42 m2 on 1st floor, south facing position. 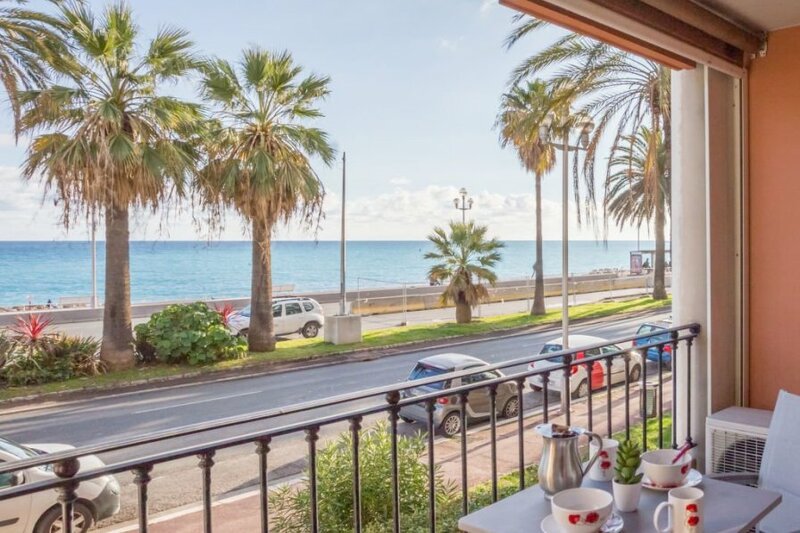 Beautiful small apartment house "Galets d'Azur Promenade des Anglais"
The agent describes this apartment as a family friendly holiday rental ideal for the summer holidays. It is also good value for money. The apartment has a sea view and is located in Avenue de la Californie. The nearest airport is only 7km away. It is set in a very convenient location, just 100 metres away from a beach. The apartment has free wireless internet. You can also park in the garage on-site at no extra charge. The apartment is well equipped: it has air conditioning, a dishwasher, a microwave, an oven, a washing machine and a freezer.